Ranbir Kapoor’s grandfather Shashi Kapoor passes away at the age of 79! The Bollywood film industry has already had many losses this year. Legendary actors like Vinod Khanna, Reema Lagoo and Om Puri left the world this year, leaving the film fraternity sad. And now there is another sad news as another legendary actor has left us. Ranbir Kapoor’s grandfather Shashi Kapoor, one of the most famous members of the Kapoor family, is no more. Shashi Kapoor passed away today on December 4, 2017 at the age of 79. The veteran actor had not been keeping well for a very long time. He was the son of the Mughal-E-Azam actor Prithviraj Kapoor. Last year in the month of March, the false news of the actor’s death went viral on social media. And it was put to rest by the actors nephew and twitter buff Rishi Kapoor. Talking about the actor’s achievements, Shashi Kapoor was honoured with the Padma Bhushan by the Government of India for his contributions to Art-Cinema, in the year 2011. He was also awarded with the Dadasaheb Phalke Award in 2015. It made him the third member of his family to receive the highest award in Indian Cinema. Earlier, his father Prithviraj Kapoor and brother Raj Kapoor had received this honour. The legendary actor had received three national awards and four Filmfare awards in the entire course of his acting career. Some of his iconic films include the known names like Silsila, Namak Halal, New Delhi Times, Kabhi Kabhie and Deewar. Our condolences are with the Kapoor family. 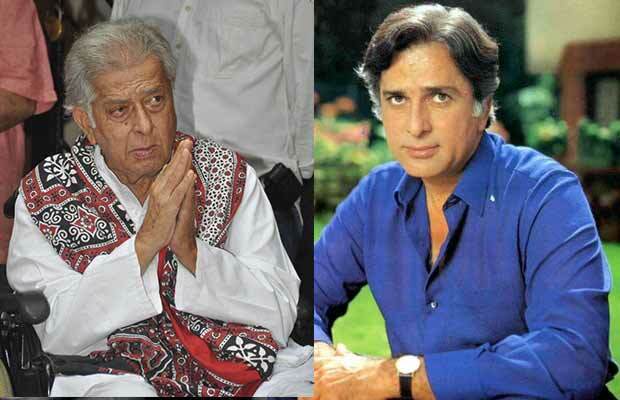 We wish Shashi Kapoor’s soul may rest in peace!